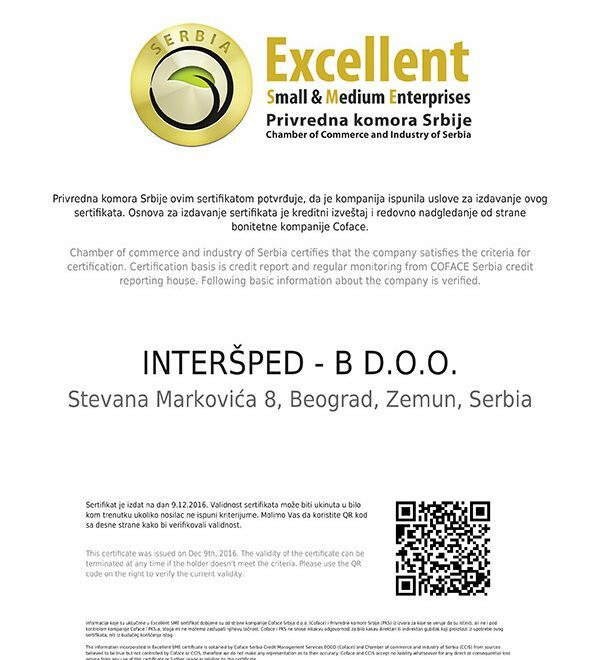 Interšped-B is a company registered for international and domestic freight forwarding. We have been present at the market of the Republic of Serbia since 1999. We were founded as a small enterprise, but by permanent improvement and education of all employees, with continuous observing of all parameters of economic trends in our surrounding, our company has been growing very fast. Today it has 64 experts with higher education in their fields. Lufthansa Cargo is amongst the leading world air carriers in freight transport. We are part of the team that will in the fastest possible way, by the door-to-door system.